For educational reasons I've decided to create my own CA. Here is what I learned. Lets get some context first. AKA asymmetric cryptography solves the problem of two entities communicating securely without ever exchanging a common key, by using two related keys, one private, one public. Ciphered text with the public key can only be deciphered by the corresponding private key, and verifiable signatures with the public key can only be created with the private key. But if the two entities do not know each other yet they a way to know for sure that a public key corresponds to the private key of the other identity. In other words, when Alice speaks to Bob, Bob tells Alice "this is my public key K, use it to communicate with me" Alice needs to know it is really Bob's public key and not Eve's. The usual solution to this problem is to use a PKI. A PKI is an arrangement that binds public keys to identities by means of a Certificate Authority (CA). A CA is a centralized trusted third party whose public key is already known. This way when Alice speaks to Bob, Bob shows Alice a signed message by Trent, who Alice knows and trusts, that says "this public key K belongs to Bob". That signed message is called a certificate, and it can contain other info. Alice is able to verify the signature using Trent's public key, and can know speak confidently to Bob. It is also common to have a chain of trust. Alice speaks to Bob, Trent does not know Bob but knows Carol who knows Bob, so Bob shows Alice a chain of certificates, one from Carol that says which key belongs to Bob and one from Trent who says which key belongs to Carol. Even without knowing Carol, Alice can verify the certificate from Trent, be sure of Carol's key, and if her trust in Trent is transitive then she can also trust Carol as to who Bob is. There is an interesting solution for public authentication of public-key information is the web-of-trust scheme, which uses third party attestations of self-signed certificates. X.509 is a standard from the International Telecommunication Union for PKI. Among other things, it defines the format for public key certificates. Version - Indicates X.509 version. Should be 3 (value 0x2). Serial - Unique positive integer assigned by the CA to each certificate. Algorithm ID - Must be the same as the field "Certificate Signature Algorithm"
Validity - Two dates that form the period when the certificate is valid. Each a Distinguished Name (DN), unique per CA. The signing CA may not require all values. Note that browsers will reject the wilcard for the naked domain, i.e. example.com is not conforming to *.example.com. However, a certificate can be used for an HTTPS server that replies in multiple different domains. Additional domains can be specified in the extension Subject Alternative Names. Introduced in version 2 to permit the reuse of issuer and subject names. For example, suppose a CA goes bankrupt and its name is deleted from the country's public list, after some time another CA with the same name may register itself even though it is unrelated to the first one. IMO, this is all very silly. Unsurprisingly, IETF recommends that no issuer and subject names be reused. Introduced in version 3. A CA can use extensions to issue a certificate only for a specific purpose, e.g only for http servers. Extensions can be critical or non-critical. Non-critical can be ignored, while critical must be enforced and the whole certificate must be rejected if the system does not recognize a critical extension. Used where an entity has multiple signing keys. Identity can be verified by either name and serial number or by this key identifier. An identifier is the 160-bit SHA-1 hash of the public key, or just the first 60 bits preceded with the bits 0100. May contain additional DNS names or IP addresses where the certificate is valid, that is, besides the one specified in CN. Whether the subject is a CA and optionally the maximum length of depth of certification paths. Let's suppose we need a signed certificate for an HTTPS server. This means we need a certificate for the domain (or domains) where the server will be available. We need a certificate that the browser can verify and tell the user that he is on the right servers of the domain of the URL he typed and that a safe connection is established. Browsers use a certificate store which has a list of CAs. To check your you can go to your browser's settings, search for the Certificates section, maybe in Security or Advanced, there should be some kind of certificate manager. The browser's certificate store should have several sections, one of them, probably empty is for client certificates, since HTTPS can also authenticate the client through certificates, although this isn't used except for some very specific corporate environments. The section you want to look at is the 'Authorities' section where the CA certificates are stored. Your browser most probably has certificates from VeriSign, Comodo, GeoTrust, Microsoft, etc. So what we need is a certificate that says our key belongs to our domain issued (signed) by one of these entities. Or we can also have it issued by an intermediary entity, one who was authorized by one of the CAs to issue certificates. If you do a web search for 'SSL Certificates' you'll find many sellers of digital certificates. You'll find that "wildcard" certificates are usually a bit more expensive. A wildcard certificate is a certificate which can be used with multiple subdomains of a domain. Browsers look for the CN (Common Name) in the subject field which should be a domain, or a wildcard like *.example.com. Browsers will accept a certificate with CN *.example.org for www.example.org, login.example.org or bo.example.org. But the "naked" domain example.org will not work. Additional domains (including the naked domain) may be added in the extension "SubjectAltName". 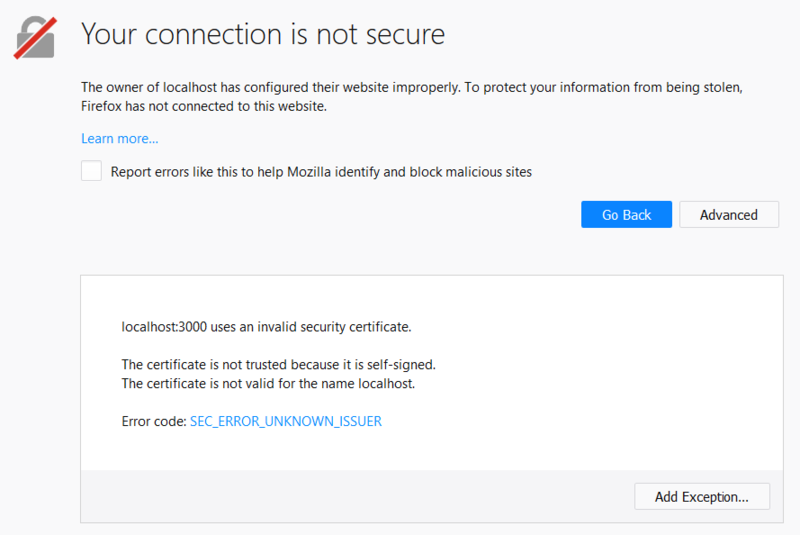 To check this out point your browser to https://mozilla.org (or some other HTTPS server), then click the lock icon before the URL, there should be a way to see the certificate being used. Check the subject Common Name and the extension Subject Alt Name. OpenSSL is a cryptography toolkit. Contains many subcommands, each with a manpage of its own e.g. ca(1), req(1) , x509(1). Most of OpenSSL's tools deal with -in and -out parameters. Usually you can also inspect files by specifying -in <file> and -noout, you also specify which part of the contents you're interested in, to see all use -text. Examples below. openssl genrsa is the tool to generate rsa keys. 2048 is the key size. This created a file example.org.key that contains the private key. You can use the tool openssl rsa to inspect the key. Any copy of the private key should only be help by the entity who is going to be certified. This means the key should never be sent to anyone else, including the certificate issuer. We now generate a Certificate Signing Request which contains some of the info that we want to be included in the certificate. To prove ownership of the private key, the CSR is signed with the subject's private key. The certificate is then sent to the issuer, and if he approves the request a certificate should be sent back. Make sure your Signature Algorithm is not MD5. Old OpenSSL configurations have default_md = md5 as default. Browsers reject certificates that use md5 as a signature algorithm because it has been found to be insecure. Notice that there are no extensions, to add extensions an additional config file is needed. This makes the process a bit more complicated so when you buy a wildcard certificate you don't usually need to specify the extension SubjectAltName for the naked domain because the issuer will do it for you. # If this is set to no then if a private key is generated it is not encrypted. # encrypt_rsa_key is an equivalent option. # on the command line. # format of the distinguished_name and attributes sections. # be valid UTF8 strings. # prompt for when generating a certificate or certificate request. Notice the various DNS names. Since the configuration parser does not allow multiple values for the same name we use the @my_subject_alt_names and DNS.# with different numbers. Because we did not specify a key, OpenSSL uses the information on our configuration (default_bits and default_keyfile) to create one. Now we can see that there is a Request Extensions section with our coveted Subject Alternative Name field. A CA can still remove these fields or override them when issuing your certificate. Including them in your CSR does not guarantee that they will be in the final certificate. Now let's play the CA part. Generate a key for the subject. It is the same as we did for our subject. OpenSSL uses the information you specify to compile a X.509 certificate using the information prompted to the user, the public key that is extracted from the specified private key which is also used to generate the signature. If we wish to include extensions in the self-signed certificate we could use a configuration file just like we did for the CSR but we would use x509_extensions instead of req_extensions. Notice the serial number, in hex is exactly the contents of the created ca.srl file. I then setup an https server using the certificate and the key on port 1443 using bud. Bud is a TLS terminator, i.e. it unwraps https incoming connections and proxies them into a backend server as simple http. I forwarded bud connections into a static http server with a very simple index.html. I also added the line 127.0.0.1 www.example.org to my /etc/hosts to make my machine resolve the domain into the loopback address. I then pointed my browser to https://www.example.org:1443/. The browser immediately complained that certificate was invalid because it did not include the signing chain. What this means is the certificate says that the entity C=PT, ST=Lisboa, L=Lisboa, O=Example Org, CN=*.example.org is certified by the entity C=PT, ST=Lisboa, L=Lisboa, O=Sz CA, OU=SZ CA but there is no information as to who certifies this second entity, and since the entity is not known by the browser the certificate is deemed invalid. One thing we can do is create another file that contains the example.org certificate and the ca certificate. I did this and then my browser, Firefox, still rejected the certificate, but now with a different message. Now it complained that the SZ CA was not a trusted entity. So I opened my browser settings, and added the ca certificate to the Authorities section in the certificate store. And now it works! The relevant extension for Extended Validation (EV) is Certificate Policies. Certificate sellers will refuse to issue wildcard certificates with EV, because cabforum.org, the regulatory body governing the issuance of EV SSL Certificates decided this is a big no no. EV certificates can, however, have as much SubjectAltName as you wish. You can also sign CSRs with the ca(1). #  a text file containing the next serial number to use in hex. Mandatory. #  This file must be present and contain a valid serial number. # initially it will be empty. # specifies the directory where new certificates will be placed. Mandatory. # CA certificate. If the value is "supplied" then it must be present. Remember, you can use man ca not only to see details about flags and command usage but also about the respective configuration sections and settings. If we wish to add extensions, or even to keep the extensions sent in a CSR (openssl will remove them when signing), then we need to also include that configuration. I know there a whole lot of stuff I didn't cover, important things like CRL. I'm sorry for that. This whole deal looks really messy and I hope we can ditch it for something better in the future. Very nice article describing the whole process. I spent quite a lot of time trying to verify that the cert not only was signed by the CA - but belonged to the server I was connecting too. Apparently gmail any many other providers do not use the right cert for their servers. If a valid cert for gmail was stolen, it can be used on some other domain no problem. since the use of sha1 is gradually considered insecure, is there a special reason you choose this hash function instead of for example sha256, or sha512? Are these functions not implemented on some older systems? Assume it is a corporate we are talking about and all settings done. Now scenario involves the clients browsing a web app and we would like clients's browsers recognize that the web server's key. What settings should one import to the client's browser? I assume the public CA key and what? A chain? Ultimately we want to get away from the users's browsers complians in a self-signed env. any idea how to fix ? Finally a working SSL certificate with subject alt name! Thanks mate, I owe you a beer. Let me know when you are in Zurich, Switzerland. Absolutely helped me in figuring the process out. @tynsh you are correct, SHA1 should not be used, there's no reason AFAIK not to use SHA256 or SHA512. 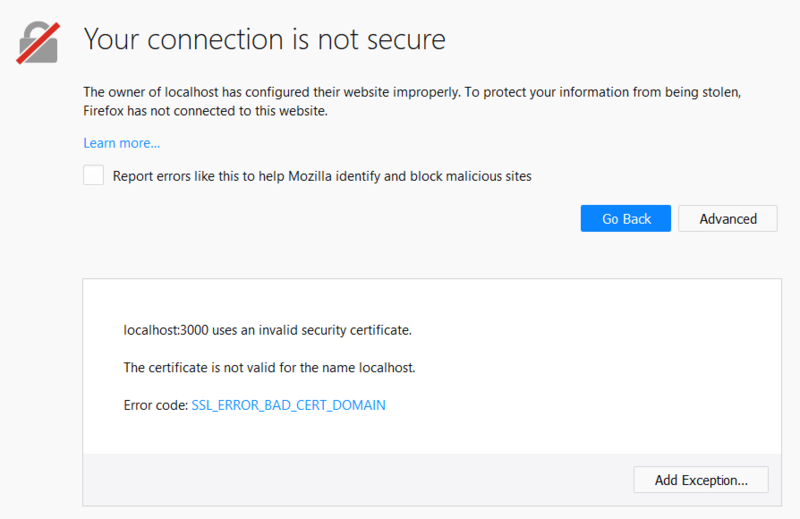 @hsafe Yes, you'd have to install the root certificate for the CA in your browser's certficate store. This is different for different browsers, some like Firefox might use their own certificate store, and others like Safari or Internet Explorer will use the certificate store for the operating system. and below are some changes/refinements. Thanks for the awesome article. Really I've stuck in it. There isn't any complete article like this on the internet. Awesome explaination btw. I've been fidgeting with unlimited domain creation for a bit. Finally got the certs to work. oats. Extensions. CNF doesn't explain Certificate Policies how to set up, I don't have used your document in the address bar to see organization name, but can you tell me how to set? ca.conf file content is duplicated. Thanks, and I love this article. May I translate it in Chinese? Nice! Every other resource I found before this was either to broad or too specific. This is a very good practical resource for not only how to create a CA certificate but how to configure it. I encountered a problem that v3 extenstion doesn't take effect, because lack of copy_extensions = copy in ca_default section. I recently underwent this task and tried the steps outlined in both this post as well as numerous others - alas I had no success. The process failed at different times with different tools (I also had an issue with the v3 extensions not working correctly and Chrome being a pain about Alternative Names). It took me a while but I finally found a reasonably well-made (and free) PKI management program (multi-platform) that uses a web interface so it's considerably easier to use than openSSL via the command line (from what I understand however, the application does actually use openSSL underneath - so you could think of it as a front-end for openSSL). Thanks a lot !!! Awesome tuto !